Many mid-cap companies don't have enough capacity in their infrastructure to support a major SAP upgrade project - and don't want to add costly capacity that would then be under-utilized after the upgrade was completed. At the same time they are looking for a cost-effective solution that can accommodate the ever-changing demands resulting from SAP upgrade projects. A temporary virtual production support landscape (based on a copy of development and QA systems) to provide a break-fix path for production support during the upgrade. 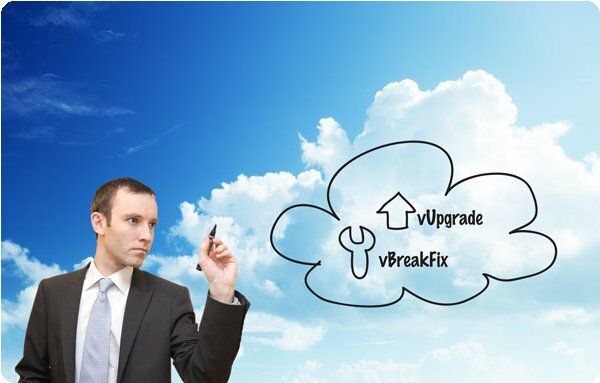 Utilize a virtual copy of your production system to rehearse the SAP upgrade in the cloud and identify pitfalls, timings, modifications, and adjustments before the actual upgrade.